The Seventh-day Adventist Church’s World Refugee Sabbath is June 16, and for the third year running, Europe will be taking a lead in highlighting the plight and needs of refugees both in Europe and around the world. Using the ADRA Serbia Community Centre in Belgrade as a base, two live programs will hear first-hand accounts from refugees, reports on ADRA and local church activities, and see how, as a church, we can bring hope. Jonathan Duffy, the president of ADRA International, will be among the invited guests and will speak about his recent visit with the Rohingya refugees in Myanmar. Two years ago, refugees were pouring through Belgrade railway station in the tens of thousands. Pictures of the crowded park near the station filled TV screens around the world. Now the TV cameras have gone, and the news agenda has moved elsewhere, but refugees are still trickling through, with roughly 5,000 in the country at the moment. While fifteen charities were offering assistance at that time, today ADRA Serbia is one of the few still in action. 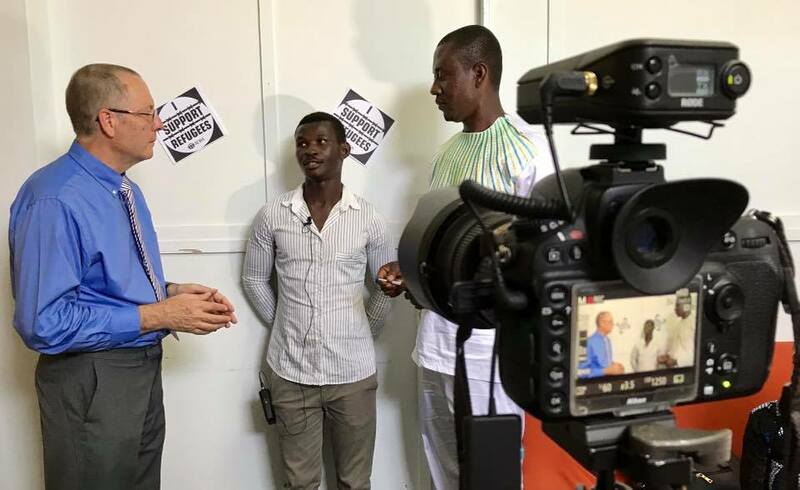 During the live broadcast on Saturday, June 16 at 11:00 CET (Central European Time) representatives from the European Divisions will visit the ADRA Community Centre, hear the refugee children’s choir, talk to refugees, and hear how staff are making a significant difference in their lives. Igor Mitrović, ADRA Serbia director, will also share what motivates him in reaching out to this specific group of people. To watch the live stream click here. In 2016, the pair shared a significant series of reports from Greece that helped focus church members’ minds on the work of ADRA and Adventist Help. Raising awareness not only assisted with fundraising and recruiting volunteers but encouraged other charities to partner together in projects that would make a bigger difference. Last year they visited a Sanctuary Church in Castel Volturno, Southern Italy. While their 2016 report focused on Syrian, Iraqi, and Afghan refugees, the community here had crossed the Mediterranean Sea from Libya after having made treacherous journeys across the Sahara. Their stories were equally moving. See: World Refugee Sabbath Highlights a Sanctuary Church in Southern Italy. It is that hope that will prevail in the programs this weekend in a positive worship experience co-sponsored by ADRA, Adventist Review, and the two European Divisions. Take time to tune in as part of your worship service. Visit https://adra.eu/refugees/ to gain ideas and suggestions for how you and your church can participate on a local level. Resources include a suggested sermon, worship ideas, social media stickers, and, on June 16, the interface for the live stream broadcasts. This article was written by the Trans-European and Inter-European Divisions and originally appeared on the TED News Network. Image courtesy of TED.